In layman’s language, hyperlipidemia is referred to as high cholesterol. It basically means high fat and cholesterol in the blood. The amount of cholesterol in the blood depends upon the interaction of a person’s genetic makeup. It also depends on the other environmental factors affecting the person. This problem has become very common all over the world. 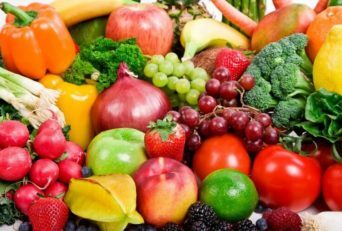 Thus, this article will help you analyse the types, causes, preventive techniques and home remedies which can help to get rid of hyperlipidemia. 1. What’s the Difference Between “Good” and “Bad” Cholesterol? 2. How Much Cholesterol Is Too Much? 3. Why Should I Be Concerned About Cholesterol? They help to lower the level of bad cholesterol and triglycerides. They also have hypoglycemic effects and are extremely useful in diabetes management. a) Add 2 teaspoons of coriander seed powder to a cup of water. b) Boil the mixture and strain it. c) Drink this twice a day. You may add milk, sugar, and cardamom to it for some flavour and use it as a replacement for tea. d) Further, if you do not have coriander powder then simply use coriander seeds. You may also dry roast them and then grind them to make powder. Red onions are beneficial in reducing high cholesterol. They help reduce LDL and elevate good cholesterol levels. Thus, they also help in lowering the risk of a heart disease. a) Mix a teaspoon of onion juice and honey each. Drink this once daily. b) Or, add one finely chopped onion and a bit of pepper to 200 g of buttermilk. Consume this on a regular basis. c) Try to include more of onion, ginger, and garlic in the diet. Indian gooseberry is as a natural hypolipidemic agent. This basically means that it promotes the reduction of lipid concentrations in the blood. It has also been proved that this fruit has anti-hyperlipidemic, and hypolipidemic effects. a) Mix a teaspoon of amla powder, or dried and powdered amla, in a glass of warm water. b) Drink this mixture daily in the morning preferably on an empty stomach. a) Mix a teaspoon of apple cider vinegar in a glass of water. b) Drink this 2-3 times a day for a month for best results. c) You may gradually increase your intake also. Yet, if you do not like the taste of ACV, you can try to have it by mixing it with orange juice or grape juice. This helps to enhance its flavour. Note: You can also prepare fresh apple cider vinegar at home. Drinking three cups of fresh orange juice every day greatly helps in reducing the blood cholesterol levels naturally. This is because it has quantity of vitamin C, folate, and flavonoids. A slight tip is that orange juice fortified with sterols is considered to be even better. Try, to drink at least two glasses of sterol-fortified orange juice every day. Coconut oil is considered a greatly advantageous home remedy for high cholesterol. Irrespective of it being a saturated fat, it contains lauric acid that helps to increase HDL and thereby improves the LDL/HDL ratio. Try to add some amount of edible coconut oil to your diet. Try not to use refined or processed coconut oil. Usually people tend to enjoy a bowl of oatmeal. It is also interesting to know that they are extremely helpful in reducing cholesterol levels. Further, it also has soluble fiber and reduces the incorporation of cholesterol. 1 ½ cups of cooked oatmeal contain approximately 3 grams of soluble fiber and beta-glucan. You may also add some fruits and nuts to make the whole meal better in taste. Fish oils and fatty fish like mackerel, tuna, trout, bluefish, sardines, are packed with omega-3 fatty acids. These acids help to lower triglycerides and prevent heart disease. Try to consume about 4 grams of fish oil every day. If you are a vegan, then you may supplement this with ground flaxseeds, which is also rich in omega-3 fatty acids. This contains compounds like monacolins that slow down cholesterol synthesis. This helps to lower cholesterol. For many years it has been used by the traditional Chinese for many medicinal purposes. For high cholesterol, start taking 1200 – 2400 mg of this supplement twice daily. Yet, be cautious while taking these supplements. This is because their proper dosage and side effects are quite ambiguous. Therefore, it is best to consult your doctor before consuming the same. Further, try to avoid this supplement if you are either pregnant or breastfeeding. However, try not to over-do the consumption of these nuts. Niacin, or Vitamin B3, helps to remove and reduce LDL cholesterol. Further it has also been proved that this helps to improve diabetic conditions. It is advised to take 1,500 milligrams per day. Milk thistle has the power to help lower cholesterol levels and inflammation. Further it also aids in cleansing the blood and stops oxidative stress damage inside the arteries. You may consume 50-150 milligrams of milk thistle every day for hyperlipidemia. Yet, confirm the dosage with your doctor once. Higher chromium levels mean that you have healthy arteries and good cholesterol level. You may take 200-1,000 micrograms every day for the treatment of this problem. Garlic lowers LDL cholesterol levels and side by side increases HDL cholesterol levels. It is also used as a food supplement to help reduce high cholesterol symptoms. This lowers the risk of coronary heart disease. Exercising on a regular basis will surely help in reducing the cholesterol levels in the body. Try to focus on weight training and cardio to support a healthy blood lipid profile2.Try to do 30-60 minutes of draining activities per day. Obesity is also a major cause of high cholesterol levels. A weight loss of even 10% may aid in lowering the risk of hyperlipidemia and its relevant symptoms. Smoking cigarettes is directly proportional to an increase in bad cholesterol. It further adds up the triglycerides in the body. To help manage hyperlipidemia, it’s imperative to quit smoking. Lemongrass and lavender essential oil may also help lower cholesterol levels. They help the body to sustain the good cholesterol level and reduce the LDL cholesterol. Further, lavender oil helps to decrease emotional stress which also leads to lower cholesterol levels. You may also use cypress essential oil to perk up circulation or rosemary oil to sustain cardiovascular health. a) Olive oil as it has some major anti-inflammatory compounds which help to boost antioxidants and HDL. b) Herbs like basil, rosemary and turmeric. They contain antioxidants which are cardio-protective and thus help to lower cholesterol naturally. Sugar and refined grain commodities as they arouse the liver to produce more cholesterol. Packaged and processed foods which are high in either salt or sugar. Hydrogenated fats as they are pro-inflammatory and increase cholesterol. Trans fats as they increase inflammation and risk of cardiovascular disease. Conventional dairy products as pasteurization and homogenization of dairy products tend to deteriorate their chemical structure. It destroys nutrients and results in the formation of free radicals. Factory-farmed animal products as they provide with very dangerous and unhealthy animal meat. Too much caffeine increases the cholesterol level. Too much alcohol a sit stimulates the liver to make more cholesterol. Thus people having high levels of triglycerides should particularly avoid alcohol at any cost. Initially it is important to understand the types of hyperlipidemia as there are various types depending on a host of factors3. Type I hyperlipidemia is quite uncommon as per “Harrison’s Principles of Internal Medicine” by Anthony S Fauci. It is also referred to Buerger-Gruetz syndrome. This disorder intends to cause high chylomicrons, which are the proteins that carry fat from the small intestine to the liver. This may lead to abdominal pain, pancreatitis, and a large liver and spleen. Type II hyperlipidemia is divided into type IIa and type IIb. Type IIa is called familial hypercholesterolemia. It tends to raise the bad cholesterol level in the blood and lipoproteins also increase in the blood. This causes fat deposits under the skin and around the eyes. Further, type IIb is called familial combined hyperlipidemia. This can be treated medically and with dietary control. Type III hyperlipidemia is an uncommon disorder. Its scientific terminology is familial dysbetalipoproteinemia or broad-beta disease. It carries a significant risk of heart disease. It may be treated with medicine and diet. Type IV is also known as familial hyperlipidemia. Herein the cholesterol levels tend to be normal but the fat level is elevated to a very high degree. Type V is another atypical type that is characterized by high levels of chylomicrons. It is also called endogenous hypertriglyceridemia. Further, it may additionally lead to pancreatitis. Once we are aware of the types of this problem it is important to determine and examine the causes of this problem. 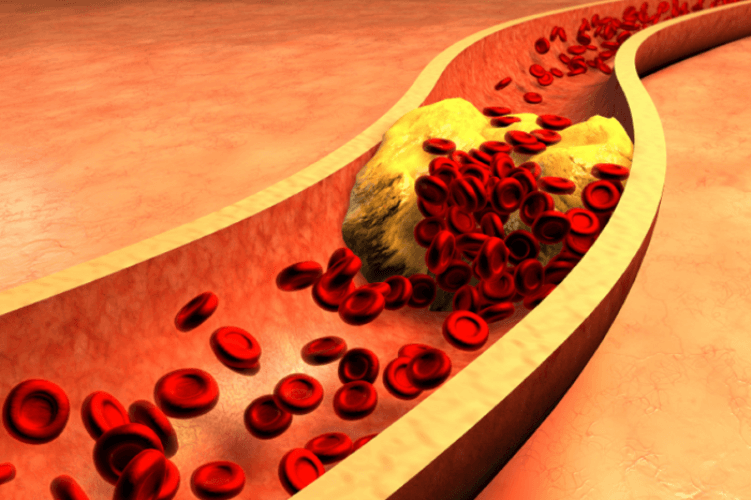 To understand the causes it is eminent to understand that there are two types of cholesterol. They are: LDL (bad cholesterol) and HDL (good cholesterol). LDL builds up in the artery walls, making them hard and narrow. The major cause of hyperlipidemia is excess of LDL cholesterol in the blood. Another cause is not having enough HDL cholesterol which helps to clear out the LDL. Before taking the test, you may have to fast for 8-12 hours. So ensure that you avoid eating or drinking everything before the test, apart from normal water. It is also mandated that generally a cholesterol level of 200 mg per deciliter is considered high. Thus, if your cholesterol level reflects more than that then you really need to get checked for hyperlipidemia or other diseases. i. Exercise several days per week. ii. Eat a diet which is low in saturated and trans fats. iii. Include tons of fruits, vegetables, nuts, whole grains, and fish into your diet. iv. Stop consuming red and processed meats such as bacon, sausage, and cold cuts. v. Drink skim or low-fat milk. vi. Maintain a healthy weight. vii. Eat lots of healthy fats such as avocado, almonds, and olive oil. HDL cholesterol is known as “good” cholesterol. It removes the bad cholesterol out of your blood and stops it from entering into the arteries. On the contrary LDL cholesterol is known as bad cholesterol. This is because it leads to the build up of plaque on the walls of the arteries. This increases the risk of getting cardiovascular diseases and other related diseases. An LDL level of 190 or above is considered to be a serious risk factor for problems like heart attack, stroke, and clogged arteries. HDL cholesterol protects against heart disease. Thus, a level less than 40 is considered to be extremely low and you should make amends to increase it under all circumstances. All the above-mentioned problems happen due to the excessive build up of cholesterol in the arteries. This proves to be a major problem. This is because they are responsible for the blood to travel to the heart. Try introducing cholesterol reducing food in you diet to lead a healthy life. It is hoped that this article has cleared all your doubts pertaining to hyperlipidemia and the remedies to get rid of the problem. All the aspects mentioned in the article are doctor recommended. Yet, it is advised that first consult your physician before applying anything mentioned in this article. This is because everybody’s body type is different. 1. ↑ Kelly RB. 2010. Diet and exercise in the management of hyperlipidemia. 2. ↑ Steven Mann, Christopher Beedie, and Alfonso Jimenez. 2013. Differential Effects of Aerobic Exercise, Resistance Training and Combined Exercise Modalities on Cholesterol and the Lipid Profile: Review, Synthesis and Recommendations.